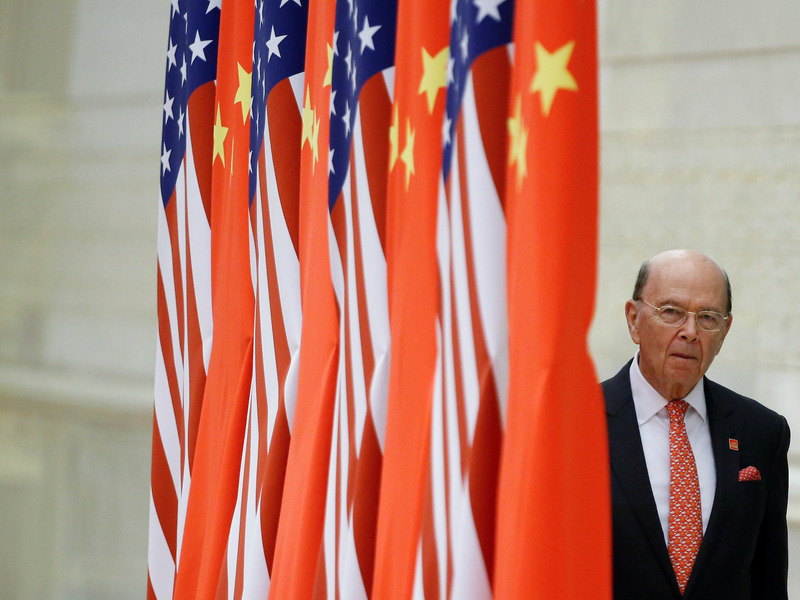 U.S. Commerce Secretary Wilbur Ross arrives at a state dinner at the Great Hall of the People in Beijing, China, November 9, 2017.U.S. 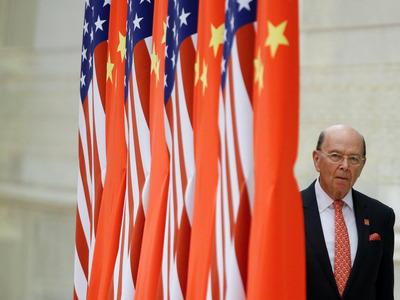 Commerce Secretary Wilbur Ross arrives at a state dinner at the Great Hall of the People in Beijing, China, November 9, 2017. European officials accuse Commerce Secretary Wilbur Ross of insider trading in a report on the 2011 Euro banking crisis. The report alleges Ross sold his stake in the Bank of Ireland at the top, knowing about accounting issues at the company. Ross hasn’t been charged with any official complaint, as far as we know. This continues a pattern of less than savoury financial dealing from the Commerce Secretary. In a report reviewing the worst excesses of the European banking crisis, Irish politicians are accusing US Commerce Secretary Wilbur Ross of insider trading. Mother Jones has the full report. The accusation is quite simple. Ross, through his investment firm WL Ross & Co., took a near 35% stake in the Bank of Ireland in 2011, during the depths of the crisis. In 2012, he joined the company’s board of directors, but by 2014 he was selling his stake. He made 500 million euros ($US682 million), selling his shares at 26 to 33 euro cents a share over a few months. Ross stepped down from WL Ross & Co. – which is currently being sued by former employees for fee gouging – when he joined the Trump administration. That would all be fine if it weren’t for the fact that it was later found that the Bank of Ireland was using deceptive accounting to make its balance sheet appear healthier than it was. Without that, Ross would not have been able to sell his shares at such a premium. This alleged deception was discovered in 2015, shortly after Ross sold his stake, and of course the bank’s stock price suffered as a result. Ross, who as a board member, should have been familiar with the going-ons at the company, especially after doing due diligence and selling at the top. And, if in the course of doing due diligence, he found out that there was something wrong with the bank’s accounting, he had a duty to report that to shareholders. If he didn’t, and he sold with that knowledge, as the report points out, that is a violation of insider trading laws. “In 2011 Bank of Ireland admitted that it allowed US investor Wilbur Ross and other major funds to carry out due diligence on its assets Mr Ross therefore had access to the loss details that Bank of Ireland kept hidden from retail shareholders. Between 2011 and 2014 Mr Ross is reported to have made Euro 477 million from the purchase and sale of Bank of Ireland shares.Retail shareholders were denied this opportunity, which suggests that they were oppressed, or in plain English, the profit that Mr Ross accumulated was largely at their expense. Mr Ross appears to have been aware of the flawed accounting model as used by Bank of Ireland. In January 2016, his name was mentioned in a court case. By the way, Ross, who was on the board of Ocwen, settled an insider trading case related to accounting impropriety at that company without admitting wrongdoing. It is, of course, worth noting that Ross hasn’t been charged with anything yet and it’s not clear if European regulators will do anything at all. In the US, insider trading is also illegal but often settled without anyone admitting to a crime. The Commerce Department has yet to respond to our request for comment. Ross is a funny little man. This year, it was revealed that he’s been lying to Forbes for years in order to make himself look richer than he is so he could appear on the Forbes 400 list of richest people. He had to amend his claims of vast wealth (he’s still rich, don’t worry guys) when there was a large gap between the assets he reported to the government to become Commerce Secretary, and what he told Forbes. Why he lied is anyone’s guess. Feelings of inadequacy are common on Wall Street, though when they’re made public in such a spectacularly embarrassing fashion, everyone acts – at least publicly – as if its the first time they have heard of billionaire insecurity. Or, in the case, we should call it multi-millionaire insecurity. Then, there’s that embarrassing matter of his ongoing business ties to Vladimir Putin’s son in law, Russian billionaire Kirill Shamanov. This is all through a shipping company called Navigator, in which Ross owns a stake. It does business with Shibur, a Russian gas company partly owned by Shamanov. According to The Guardian, Navigator made $US68 million off a deal with Shibur, starting in 2014. That, of course, was when the US put sanctions on Russia for its aggression in Ukraine. Some of Shibur’s owners are sanctioned by the US government, though Shamanov is not.